What parameters can Granular Activated carbon (GAC) remove? What is activated carbon and why is it an ideal adsorbent? 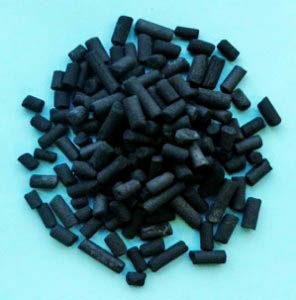 Activated carbon is widely used for the adsorption of many contaminants in liquid and air streams. 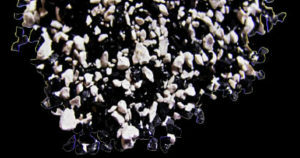 It is produced from carbonaceous organic substances, including bituminous coal, coconut shell, wood and other materials. Activated Carbon extensive pore structure provides an extremely high surface area, which makes it an ideal adsorbent. One pound of activated carbon has a surface area equivalent to six football fields. 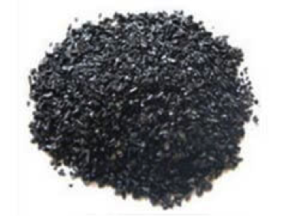 Activated Carbon has iodine number that is used as a general measurement of the surface area. These numbers range from 900 to 1100. Are you interested in finding out more about activated carbon? The experts at Continental Carbon are standing by to take your call and answer your questions. 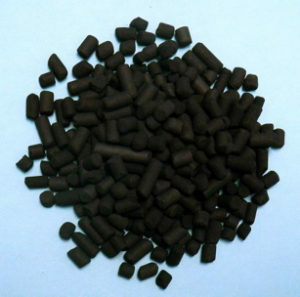 CC-SX100 is an extruded activated carbon exhibiting enhanced adsorption capacity for sulfur compounds such as hydrogen sulfide, light mercaptans and sulfur dioxide. 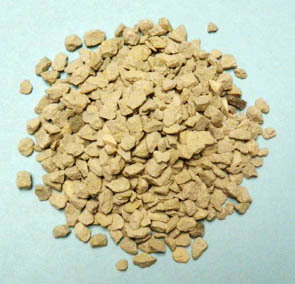 Using a unique process, this product is manufactured using selected renewable raw materials and special binders to obtain a superior hardness. Under the correct operating conditions sulfur loadings of over 70% by weight for hydrogen sulfide removal can be obtained. CC-SX100 is used in a wide range of vapor phase applications, including the removal of hydrogen sulfide in air, bio- and natural gas where sufficient oxygen is present. Centaur is a catalytic activated carbon developed to treat foul air from wastewater and sewage treatment processes. 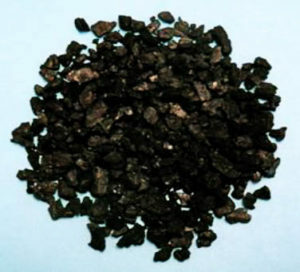 The carbon is a granular media derived from bituminous coal. Hydrogen sulfide (H2S) removal capacity of the media can be restored simply by on-site washing with water. No chemical impregnates are used in the production of the media nor are any required to regenerate the media. CC-BXB is a virgin activated carbon that is suitable for the removal of a wide range of organic pollutants in the vapor phase. The predominance of micropores ensures effective removal of low lolecular weight contaminants. This extruded product also offers exceptional durability in almost any type of adsorption unit, even where thermal stress may be high. The uniformity of its shape makes it particularly attractive where low pressure drop is a consideration. 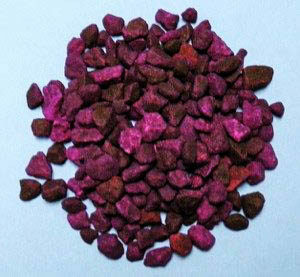 CC-HS600 is a silicate compound impregnated with potassium permanganate (KMnO4). It is ideal for those applications where activated carbon is ineffective, such as in the adsorption and oxidization of polar or lower molecular weight compounds. CC-Sulfursorb Plus is a non-impregnated, bituminous coal-based catalytic activated carbon which has been specially developed for removing hydrogen sulfide (H2S) and sulfur compounds from air streams. It is well suited for use in wastewater treatment plants and pumping stations where these compounds are typically found. 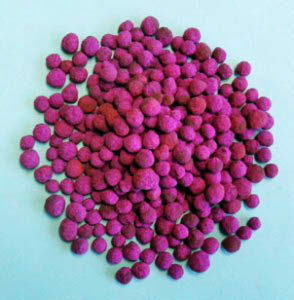 CC-PP12 is a spherical, activated alumina-based media impregnated with 12% potassium permanganate (KMnO4). It is ideal for applications where activated carbon is ineffective, such as for the adsorption of polar or lower molecular weight compounds. Due to its spherical form, CC-PP12 is suitable for use in various types of panel filters as well as in applications where a lower pressure drop is required. CC-PP8 is a spherical, activated alumina-based media impregnated with 8% potassium permanganate (KMnO4). It is ideal for applications where activated carbon is ineffective, such as for the adsorption of polar or lower molecular weight compounds. Due to its spherical form, CC-PP8 is suitable for use in various types of panel filters as well as in applications where a lower pressure drop is required. 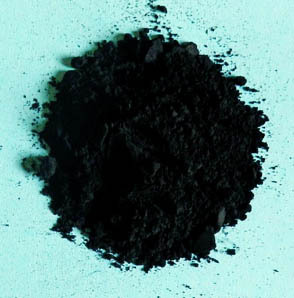 CC-IPHg is a coconut shell based activated carbon that is specially impregnated for the desulfurization of gases and the removal of all acidic contaminants such as hydrogen sulfide (H2S), hydrogen chloride (HCl) and mercaptans (thiols). 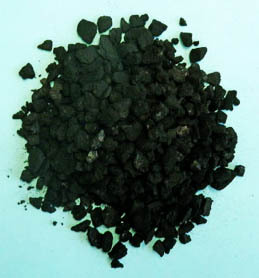 CC-IPH is a bituminous coal-based activated carbon that is specially impregnated for the desulfurization of gases and the removal of all acidic contaminants such as hydrogen sulfide (H2S), hydrogen chloride (HCl) and mercaptans (thiols). CC-HSCL is used to remove chlorine or chlorine dioxide from air streams. These air streams are typically generated by bleach plants in pulp and paper facilities, chemical, fresh and waste water treatment plants. The chemisorption process responsible for the removal of the pollutant gas occurs with its reaction with sodium thiosulfate. CC-A40 is a virgin activated carbon. 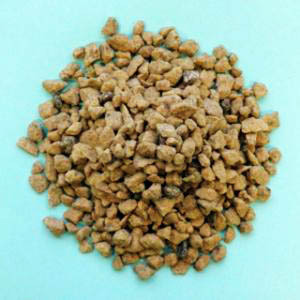 Derived from bituminous coal, it is pelletized in form. Its superior activity and surface area make it ideal for most vapor-phase applications. The uniformity of its shape makes it particularly attractive in applications where low pressure drop is a consideration. 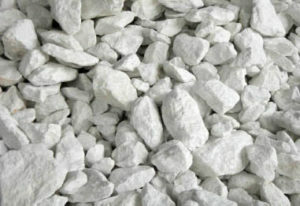 CC-4x8Z (zeolite) is a naturally occurring mineral with a porous structure. Zeolite’s open structure is capable of loosely holding numerous positive ions; these positive ions can in turn be exchanged for other such ions in a solution. This ability is due to zeolite’s molecular lattice pore structure. CC-4x8S is a granular activated carbon that is ideal for most air purification purposes. Made from selected grades of coconut shell, its superior level of hardness makes it cleaner than most other carbons and gives it a longer life expectancy. This, combined with its high activity level, makes it well-suited for use in any kind of carbon filter or system. CCG’s Zeolite filter media is naturally occuring mineral (Clinoptilolite) that is highly processed and graded. It’s unique properties allow it to radically alter the performance and cost of media filtration. 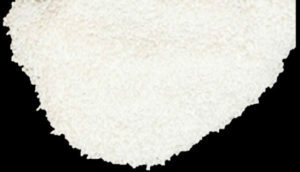 CCG’s Filter Sand is naturaly occuring, graded and wash sand thats is high in silica and low in calcium. 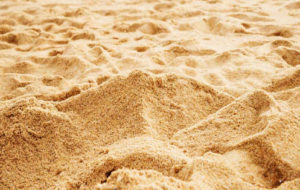 CCG provides sand in all ranges from 0.25mm to 0.50mm and 1.20mm to 1.60mm. CCG’s pH neutralizer media is a naturally occurring calcium carbonate media, which dissolves in the presence of acid. The media is practically insoluble in non acidic water. CCG’s Filter Gravel is highly spherical shaped media that promotes good flow and even distribution in support beds. 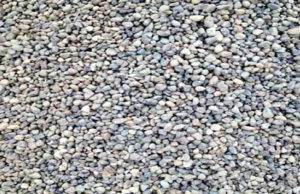 Gravel is low in soluble impurities and it will maintain the quality of the treated water, especially in softeners. CCG’s OC-300 is part of a series of selective water treatment adsorbents remove anionic compounds including phosphates and nitrates upon contact. Extensive field application and laboratory analysis has shown OC-300 is capable of removing a wide range of anionic contaminants to non-detectable levels. CCG’s OC-275 is part of a series of selective water treatment adsorbents that bond with hydrocarbons, organics and other contaminants upon contact. CCG’s OC-270 is part of a series of selective water treatment adsorbents that bond with hydrocarbons, organics and other contaminants upon contact. Extensive field application and laboratory analysis has shown OC-270 is capable of removing a wide range of contaminants to non-detectable levels. CCG’s OC-250-AC is part of a series of selective water treatment adsorbents that bond with hydrocarbons, organics and other contaminants upon contact. Extensive field application and laboratory analysis has shown OC-250-AC is capable of removing a wide range of contaminants to non-detectable levels. CCG’s OC-250 is part of a series of selective water treatment adsorbents that bond with hydrocarbons, organics and other contaminants upon contact. CCG’s OC-100 is part of a series of selective water treatment adsorbents which is a molecular sieve of zeolite. This particular zeolite is called clinoptilolite. CCG offers the OC-100 in two standard U.S. Tyler screen mesh sizes, 4 x 6 and 6 x 8. CCG’s activated alumina is a mixture of amorphous and gamma Aluminum oxide prepared by low temperature dehydroxylation of Aluminum Hydroxide Al(OH)3. The filtration process is termed surface adsorption but relies on the exchange of a surface hydroxide for the contaminant. CC-VISCOFLUID is virgin coal-based granular activated carbons are specifically designed to provide a rapid rate of adsorption and low resistance to flow with liquids of low to medium viscosities. CC-ORGANICS is an acid coconut based activated carbon. Made from selected grades of coconut shell and then acid washed, it is ideal for many liquid phase applications including the removal of dissolved organics from water, wastewater and industrial process streams. 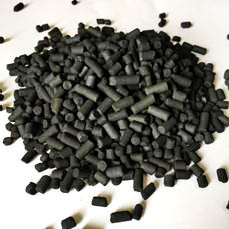 CC-BITORG activated carbon is made from select grades of bituminous coal through a process known as re-agglomeration to produce a high activity, durable, granular product capable of withstanding the abrasion associated with repeated backwashing, hydraulic transport, and reactivation for reuse. CC-12x30S is a virgin activated carbon which is granular in form. Made from selected grades of coconut shell, it is ideal for many liquid phase applications including the removal of organics from water streams. CC-WATERCARB-A activated carbon meets the latest AWWA standards for the treatment of potable drinking water and is totally compatible with all municipal water treatment use and application systems. CC-OC200 is a selective water treatment adsorbent that bonds with hydrocarbons, organics and other contaminants upon contact. Extensive field application and laboratory analysis has shown CC-OC200 is capable of removing a wide range of contaminants to non-detectable levels. 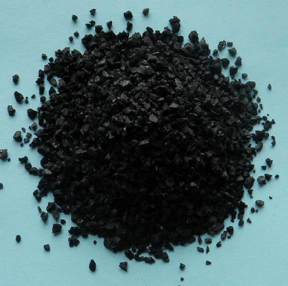 CC-8×30 is a virgin activated carbon derived from bituminous coal. 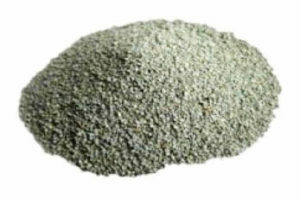 Granular in form, it is ideal for many liquid phase applications including the removal of impurities from water streams. Its superior adsorptive capacity and surface area make it particularly attractive for the removal of organics from wastewater; while its size makes it appealing where low pressure drop is required.